In a recent interview in a glossy magazine, the actress Scarlett Johansson spoke about how she uses Apple Cider Vinegar face wash in her skin care routine. While I’m not much one for celebrity news, I did find it interesting that someone who could afford to buy the most expensive skin care products (think J Lo with her thousand dollar plus face creams) uses traditional apple cider vinegar that you can buy for less than ten dollars. So just what is apple cider vinegar, how do you use it as a skin cleanser and toner and what are some of the benefits of taking it internally for better skin? Real organic apple cider vinegar, also called ACV, is made by fermenting pressed apple juice until the sugars turn to vinegar. Importantly, it should be made from organic apples and be unheated, unfiltered and unpasteurized to keep the ‘mother’ intact. Apple Cider Vinegar is all of these and considered one of the best available. Alongside all of the other health benefits of apples, substances like malic acid are formed in the creation of apple cider vinegar, giving it antibacterial, antiviral and antifungal properties. This is a big part of what makes it so good for your skin. Apple Cider Vinegar Face Wash – How to Do It? Apple cider vinegar is potent stuff and it’s best to dilute it, especially for the first time you use it. Also be aware that while many people swear by it for controlling pimples, it will be like to sting any acne outbreaks at first. People who know that they have sensitive skin may be better off with a 1 to 5 ratio to begin with. It would also be advisable to patch test your skin by first applying the diluted apple cider vinegar to an inconspicuous part of your face. Leave it for an hour to see if you have any reaction to it before using it fully. If you feel comfortable using apple cider vinegar as a skin cleanser then start by splashing your face with lukewarm water, then dip a clean cotton wool ball or pad into the diluted ACV. With gentle upward strokes, clean your face and neck with this mixture, dipping the cotton into the bowl and using a different corner for each cheek, your nose and your forehead. As mentioned earlier, apple cider vinegar has antibacterial and antifungal properties to help prevent acne and skin infections. As well as effectively removing excess oil from your skin, ACV face wash is said to help balance pH levels and over time may prevent your facial skin from becoming both too oily or too dry by normalizing sebum production. Apple cider vinegar also contains powerful alpha hydroxy acids to help remove dead skin cells and reveal a fresher and healthier complexion underneath them. Many expensive commercial face washes trumpet the minuscule amounts of alpha hydroxy acids they’ve added to their preparations, but ACV is full of far higher levels for much less. Once you’ve finished cleaning with it, some resources recommend leaving it on for 10 to 20 minutes then washing it off. Personally, I just apply a natural, chemical-free moisturiser: Jojoba Oil over the top of it, but you can wash it off first if you like. While it doesn’t look like Scarlett Johansson has to deal with these two, apple cider vinegar is often recommended as a treatment for age spots and warts. For age spots it is usually applied undiluted, just to the spots directly. Preferably this should be done several times a day for at least a month. Some people have even better results mixing the ACV with either fresh orange juice or onion juice and applying it several times a day. Particularly with the onion and apple cider vinegar mix, you’d want to make sure you’re only applying it to the age spots, perhaps with a cotton wool bud, as it’s likely to sting sensitive skin. Warts are treated with Apple Cider Vinegar in a different way. The method is to soak a small cotton wool ball in it and use tape or a Band-Aid to keep the soaked cotton wool there against the wart for as long as possible. This is either done in the morning and kept on all day or before bed and worn overnight. For even faster results change applications in the evening and have it on around the clock. Many people report this ACV treatment clearing up warts in a week. Be aware that they may turn black before falling off. It is also recommended to continue with the treatment for a further week, even if the wart looks to be gone, to make sure it doesn’t return. In the long-term, what we put into our bodies affects our skin even more than what we put on it. One of the main causes of poor skin is problems with digestion and detoxification. Ideally a well functioning liver should quickly eliminate toxins from your body. However, when it’s overworked or poor digestion is creating a strain on it, your skin tends to be one of the first places to show it as it tries to help get rid of some of the toxic load. Taking a twice daily tablespoon or two of organic ACV in a glass of water may aid your body’s detoxification and elimination channels, thus easing the burden on your skin. First thing in the morning and again in the evening is considered good times to drink it. It takes time for skin cells to regenerate but there are many reports of this apple cider vinegar tonic improving skin tone and complexion. The skin benefits of using Apple Cider Vinegar as a face wash alone should be more than enough reason to pick up a bottle and give it a try. That said, there’s also a long list of other health benefits attributed to ACV, including enhancing your immunity, controlling blood sugar for weight loss and improving bowel regularity. You can read about the 12 reasons why it’s worth drinking apple cider vinegar daily here. Have you using apple cider vinegar yourself, either taking it daily or as a skin treatment? It has certainly improved my skin since I started using it and I’d be interested to hear how it works for you. What Are the Best Apple Cider Vinegar Brands on The Market in 2019? It is also great for your hair. I have replaced my conditioner with an ACV rinse and my hair is softer and smoother than it has been in years. ACV is also used to prevent head lice and to help in the removal of their nits (eggs). Hi Gina. I’ve also found apple cider vinegar to be great for your hair. You want to make sure it doesn’t get in your eyes though when using it. I have been washing my face with apple cider vinegar for just over a month.. It is wonderful.. my skin not only looks great but it feels great..
Hi Amanda and thanks for the positive feedback. I hope more people try this simple skin care routine. Doubt the cosmetics companies will like this becoming too well known though. Hi.. Thanks for u r blog!! Will it help to get rid of dandruff??? Also can i use it daily.. I have acne prone skin…..
Hi, thank you so much for this! It’s helped a lot! I was just wondering, I bought organic ACV the other day but it says unfiltered on it. Do you know if that makes a difference from a filtered one? Unfiltered was all the store had when I went there. Unfiltered is actually better. You want the unfiltered apple cider with the mother (stringy brown bits) ideally. Hey is it fine that I wash my face in the morning, apply acv, then workout for about 4 hours and then just apply the apply cider vinegar on a cotton pad without washing my skin with water? Hi Therese. This might be a little strong for sensitive skin but of course continue if you are seeing benefits from using it this way. Splashing your face with warm water first may help to remove more oil but do what you feel is effective for your skin. Hi !just wanna ask how can I use acv to treat milia? There is some mention of people having success using apple cider vinegar for milia in online forums. You could try this with the same methodology suggested for age spots in the article. I use apple cider for restless legs and for me it works fantastic! I know when I have not had it for a few days. One teaspoon in a glass of water before bed gives me a peaceful nights sleep without the restless legs. Hi Laura and thanks for your comment. Apple cider vinegar is often mentioned as a good treatment for restless legs. It really does seem to have a lot of health benefits and I’m glad it’s working so well for you. I ordered some of the Bragg ACV. When I begin using it, would you recommend applying it before going to bed each night? Letting the apple cider vinegar do it’s work overnight can be effective. You might want to start with it quite diluted if you haven’t used it before and build up the strength over time. Great Article! I have been using ACV for face and hair wash for a while. You are completely correct with the amount of environmental toxins we are in contact with including things such as parabens in many of the cosmetic products. When I first started using ACV I was astonished to see how effective it is. Additionally oregano oil and ACV are helpful for proper gut health which supports the immune system. Continue writing about natural products there needs to be much more awareness about them. Hi Brent and thanks for your comment. Apple Cider Vinegar really is a simple and natural hair and skin treatment. It doesn’t have the bright packaging of toxic cosmetic products though so it’s good to see Scarlet Johansson giving it some free publicity. I was away of the beneficial effects of both ACV and oregano oil individually, but have you noticed a synergistic effect with using them together at the same time? Thanks for the article! Is the ACV tonic safe to drink during pregnancy? Hi Patrice and thanks for your question. Hi I tried this mix, I have sensitive skin and it works for the first few days but then I suddenly had a bad breakout and now its worse off then when it started. Any suggestions? Hi Helen and thanks for your question. Many people have good results with ACV for troublesome skin but it can help to build up the strength slowly. If you’d like to continue using it I’d dilute the mixture to a quarter of the current strength you’re using and if that is well tolerated you could slowly build up from there. It’s possible apple cider vinegar is too strong for very sensitive skin. If you’re still having problems after diluting it then it might be best to take a tablespoon or too in a big glass of water and have it internally for it’s cleansing properties. Hello..please can I use ACV as an antiaging product? 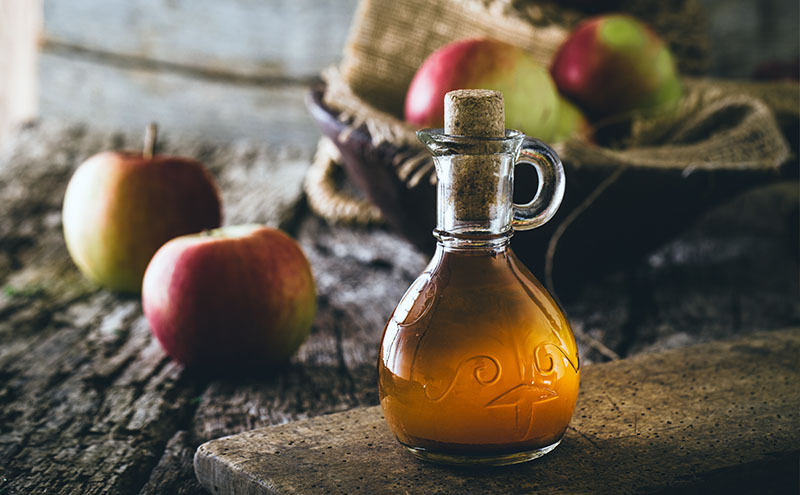 Many people in online forums are impressed with apple cider vinegar’s beneficial effects on their skin, both taken internally and used externally as a skin treatment. I’d certainly suggest giving it a try. A 1 to 3 ratio is good to start with. You can either leave the apple cider vinegar on or rinse it off before moisturizing. still i awake…i leave the apple cider vinegar on my face and i put the cream on my face..and also i start with 1:2ratio..i didnt feel any pain to my skin….i dont have pimples right now..only some scars and some blemishes.. If the 1 to 2 ratio doesn’t sting your skin and you feel it is working well then that’s fine. It can take a few weeks to really see results with this apple cider vinegar treatment but I and many other people have had great results with it. It’s great that it is working so well for you. Thanks again for your comments. 3 days now since i start using ACV to my face as my toner morning and evening..i can say WONDERFUL!!!! GREATT!!! !…i want to share this good news to others specially to all who want to be clear and smooth skin like me…thank u sir jim for this blog..
Hi Weslie. It sounds like it is going really well for you. I hope other people are inspired to try ACV as a skin treatment. Hi Angel and thanks for your question. Apple cider vinegar with the mother is considered much better. I would always go for one with it like the link above. Do I need to refrigerate my mixture or can I store it at room tempature in my medicine cabinet? Hi Sara. Apple cider vinegar is fine at room temperature but I think it’s best to mix it with water just before you use it. I suppose you could make it up in the morning, refrigerate it and use it that evening but I wouldn’t keep it for much longer. Hey! Thanks for posting all the awesome things ACV does! I just started taking it internally and also applying it on my facial acne. I’m anxious to see what happens! I’ve only just started to get bad acne in my mid twenties and I’m realizing my body needs natural remedies. I’ve tried baking soda but it may be too strong to use often. I will post with an update soon! Thanks again. Hi Holly and thanks for your comments. Taking drinking apple cider vinegar as well as applying it should definitely increase it’s benefits. I’d appreciate hearing your updates with how it works for you. I’ve definitely noticed significant improvements in my skin using apple cider vinegar as a face wash/cleanser/toner and hyaluronic acid as a moisturizer. These are much better than expensive commercial products in my opinion. I have been using ACV in my hair and was googling other uses when I came across your article. I currently have it in a spray bottle (diluted with water) for use on my hair, would it work if I just sprayed by face with the same spray bottle? Hi Stephanie and thanks for your question. You’d want around a 1 part ACV to 3 parts water to start with and work up to a 1 to 2 or even 1 to 1 ratio. I suspect the strength you use as a hair wash would be a bit less than that and I’d be a bit worried about it stinging your eyes. I think a clean cotton wool pad dipped in diluted ACV and used with gentle upward strokes on the face is a bit easier. Hi Jim, thanks for this article! I am feeling optimistic about the benefits of using ACV internally and externally for my acne. Does ACV applied to the face also help heal/get rid of scarring? I read that mixing ACV with a little aspirin and applying it to just scarred spots is effective. What do you suggest? Hi Cora and thanks for your question. I’ve read that apple cider vinegar can be good for acne scaring as well. One method is to let one or two uncoated aspirin tablets dissolve in around half a teaspoon of castor oil. You can also add a touch of baking soda if you would like this to be more exfoliating. Castor oil is very cleansing and healing for the skin and the salicylic acid in aspirin clears away dead skin cells and unclogs pores as well as hopefully minimizing any scaring. Many people recommend leaving this on for 10 minutes and then using a cotton wool pad soaked in diluted apple cider vinegar to remove the mask. Hi.. Iv been drinking ACV for about 2yrs. 2 teaspoons in a small glass of hot water, morning & bedtime. Sometimes even after a heavy meal. ACV really helps heartburn too. Use it in my hair.. but never tried it on my face. Mix ACV, Listerine & mint in very warm water & its great for soaking your feet, makes them baby smooth 🙂 ACV has sooooo many great uses. Hi Joanne and thanks for your comments. Apple cider vinegar really does have a lot of great uses. I hadn’t heard of anything like your ACV foot soak before. Since you’re using in already so much, why not try diluted ACV as a facial cleanser? I am from Pakistan and i am not sure if we can get apple cider vinegar but i do have a vinegar bottle in my kitchen… i took two tea spoons of vinegar mixed with two teaspoons of water.. washed my face and applied it.. washed it after ten mints.. is that procedure alright?? Kindly do let me know how to use it for hair and do we have to drink it with water for cleaning up our internal system?? The recommendations are really only for unfiltered apple cider vinegar. I’m don’t that regular white vinegar would be very good for the skin. Iherb deliver internationally for $5 I believe and I know they have a good range of apple cider vinegar. Drinking ACV at the same time certainly helps with digestion which can improve your skin as well. Thanks for the article and all the comments. Should you do this twice daily or just once in the morning? I generally just do it in the evening but there’s no reason not to try it morning and evening, particularly if you find your skin is a bit oily. I’d suggest starting with a 1 to 3 diluted ACV to water mix and then working up to 1 to 2 or even 1 to 1 for men (we usually have less sensitive skin) if this is tolerated well. I have dark skin and have dark patches on my forehead, my cheeks and upper lips. This condition is called chloasma. I read somewhere on the internet that ACV can get rid of it. I have decided to give it a try, and I noticed a bit of improvement. The part which does not show any improvement is under my eyes, it is like they are fading and moving towards that area. I also use it for my hair, which looks like it is growing longer and stronger and my dandruff is gone. This condition frustrates me to an extent that I try on anything just to get rid of it. I love lemon also, so I mixed it with ACV the other day and I got a breakout. I also have digestion problems, very stubborn system. I want it to improve and be normal. Thank you for a beautiful site. Very encouraging and informative. Hi Eva and thanks for your comments. It’s good to hear you’re noticing improvement with using ACV for chloasma. It’s possible that under your eyes is just a bit more noticeable since other areas are fading. Perhaps a morning and night treatment at a 1 to 1 strength if it doesn’t irritate your skin could improve it’s effectiveness. I’d also suggest drinking it throughout the day so it can help internally. I often have a good splash of unfiltered apple cider vinegar in a large glass of water to drink away from meals a couple of times a day. Lemon juice is great with water first thing in the morning – http://healthambition.com/many-benefits-of-lemon-water/ – but is usually a bit strong for direct application to the whole facial skin. Lemon juice is recommended for chloasma as well though so you might like to try applying it just to the pigmented areas with a cotton wool bud and leaving it on overnight. Thank you for your positive comments. I hope apple cider vinegar works well for you. My 2 year old daughter has eczema. Is it ok to apply ACV to her skin daily? Apple cider vinegar is often recommended as a treatment for eczema, including for children. If you did want to give it a try I’d recommend starting it very diluted for a 2 year old’s sensitive skin. This page has more details – http://thehillhangout.com/2013/01/our-miracle-treatment-for-eczema/ and it looks like they’re using around a 1:12 ACV to water ratio. Really hope this helps for her. I love ACV!!! I have lost 30 pounds by combining it with exercise. Hi Cindy. That’s some great results for weight loss. Would you mind sharing when and how often you take apple cider vinegar? Sir, I have been using ACV which is ultra filtered n acidity is 5% for a week. At first I felt that my scars on face have been lighten but now small pimples are poping out. Wht should I do? Pls help. Hi there. Occasionally skin breakouts like this are reported. They usually clear up and the skin is better than ever afterwards. For now you could try having a couple of days off using ACV and then start at a lower ratio, perhaps 1:5. If that appears well tolerated you could slowly increase the ratio. If you have a breakout again once you reach a 1:3 ratio or higher than it might be a bit much for your skin and I’d suggest staying at the lower ratio which should still be beneficial or possibly trying a different brand of apple cider vinegar if you’d like to continue with it. My 12 yr old son was barely able to hold off his pimples using OTC creams from the store – and I was tired of shelling out alot of money for not-great results. I suggested trying ACV toner and we started out at a 2:1 ratio of acv/water, twice a day. It works like a charm! What a relief. About the same time, I started drinking 1tbsp of ACV mixed with fruit juice and I can’t say enough good things about it!! I was still having the occasional zit. Since I started taking it, Ihaven’t had a single one! What a joy. I also experienced some things I did not expect – increased mental clarity and extra energy. As a shift-working single mom, I really needed that!! In fact, I won’t go without it before a graveyard shift. I swear by this stuff. Miracle-in-a-bottle is what this stuff is! Hi Karen and thank you for sharing how well apple cider vinegar has worked for you and your son. I hope it inspires others to give it a try as well. Thank you very much for this informative article. I would like to know if this ACV face wash could be an effective replacement for over the counter face washes? I usually use my face wash twice a day and after I remove makeup to get a more in-depth clean. I have oily, acne prone skin prone to dry patches at times. What is your opinion in this matter? Looking forward to your response as I’ve been looking for a natural alternative to all these chemical-laden cocktails that we use on a daily basis…thank you! Hi there and thanks for your question. I think apple cider vinegar face wash is an excellent replacement for commercial face washes. It’s all I use and I wouldn’t go back to chemical preparations. 2. Don’t try to increase to 1:1 too quickly or a negative reaction can occur. I tried to go from 3:1 to 1:1 in a week and 2 hive areas appeared. I backed down to 40% ACV / 60% water and have seen very positive results in the last week. 3. The small red pus filled bumps are essentially gone – they responded very well. The cystic acne is improved but not entirely gone – definitely improved. This may improve with time. 4. After getting to a 1:1 ratio in the next few weeks to 1 month out, I am going to experiment with going to once a day over 2x per day. Even with oily skin, I would like for my skin to try and do the work if it can. 5. While on ACV, I am off every other face product. I actually think my OTC face creams / washes may have assisted in the breakouts, not helped them like ACV. I would recommend this! 6. Diet – change your diet to: dairy free, gluten free, vegetables, fruits that are lower in sugar, and chicken / fish. Not only do you lose weight, but your skin is what you eat! 6. I would be curious on other peoples perspective of long term use of ACV – does the skin grow resistant to the treatment in a few months, etc. one of my reasons for considering bumping down to 1x per day is to try to make this a long term regimen. I’ll try to send another update in a few months. Thanks again for the article and the responses to questions! Hi David. This is a great update and very helpful. Thank you. I agree that increasing the ratio too quickly can sometimes lead to breakouts. It’s likely just a little too fast. If this happens I recommend cutting back the ratio as you have done and then building up again slowly. ACV helps to control oily skin so it would likely be possible to use it just once a day after a while it this works best for you. I don’t think your skin would become resistant to the ACV treatment but it may not respond well to chemical laden commercial preparations after using this for a while. If you haven’t yet it would also be good to have a couple of tablespoons of ACV in a big glass of water. This helps your skin internally as well. Thanks for the encouraging words am greatfull. Hi Maggie. Glad you like the article. I hope it works well for you. Hello and thanks so much for this wonderful article !! Is it ok to use ACV as a toner in a non diluted form if it does not bother me at all as is ? does it have to be diluted ? and another question please 🙂 – how should I use it on my hair ? Hi Anya and thanks for your question. I actually use apple cider vinegar undiluted at a face toner now, but I did build up to it and in writing this article I was concerned that this would be too strong for sensitive skin. If you’re sure that your skin is ok with it then this would be fine but if you have a breakout you can dilute it and build up to this. ACV is also good as a hair rinse and is said to help prevent dandruff. You can apply it to wet hair and gently massage it in. Leave for a minute or two and rinse out but be careful not to get any in the eyes. Thank you so much for your answer, the information you gave us all here helps a lot !! Thank you Anya. I hope it goes well for you. You forgot to mention that ACV helps balance the skin’s PH. 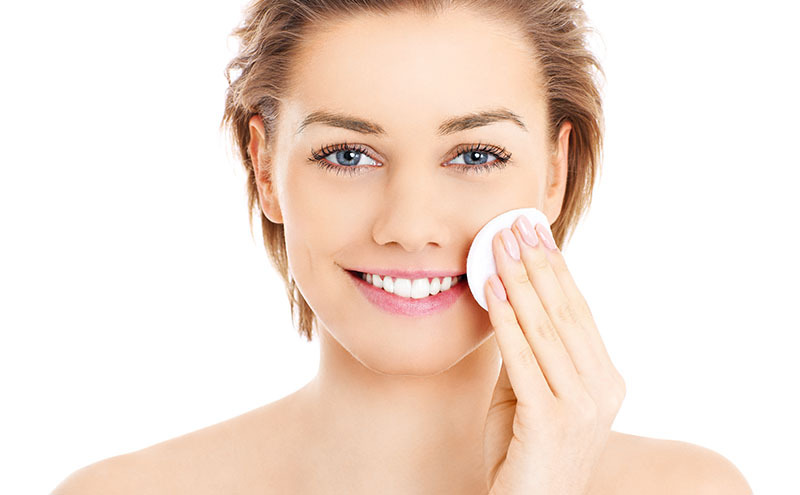 The healthy skin PH is around 4.5 – 5.5, and sometimes people use skincare products that are way out of that PH level, like foaming cleansers, which most are very alkaline. Since supposedly ACV is very acidic, using it as a toner helps balance the PH level of the skin and also prepare it for PH dependent skin treatments like glycolic acid peels and vitamin C serums, which both need a low PH to work effectively. Now I have a question for you. I have been using a regular ACV as a toner, and it has an approximate PH of 2-3, but I been wanting to switch to an organic version which I suppose it contains more skin benefits, but I think I heard or read that the PH of organic, unpasteurized ACV is slightly different, more on the neutral side, is that true? Or is just as acidic as ordinary ACV? Because that woud be great. Hi Mia and thanks for your comments. That’s good additional information. Sometimes it’s hard to cover all details without making articles an epic read but comments are great for this. On your question, Bragg’s Organic ACV lists their Acetic Acid content as 5.14 % and pH as 3.075. I tend to think there would be added skin benefits from the ‘Mother’ in a good organic apple cider vinegar. I have struggled with eczema and perioral dermatitis flare ups all my life. When I was 22-25 years old I had perioral dermatitis so bad that my skin would flake and itch so severely that I would scratch it raw and I had a red flaky muzzle rash that was a contact source of embarrassment. It magically went away but just out if the blue came back this month after years of being free from this rash. I have been every now and then using ACV since early summer and when my perioral dermatitis came back this month I went online to see natural remedies. The Earth Clinic website suggested ACV and I was so glad of already had a bottle on hand. Lots of people on Earth Clinic website said it would sting horribly when I applied it but my itching and the start of a this familiar bumpy flaky rash was enough for me to apply the ACV directly to it. I swear by the next morning I felt relief. It’s 2 days later and it’s already looking normal again. It’s like I can feel the vinegar eating away the fungi and calming my ‘muzzle rash’. Had I known about this in my early 20’s I would have probably cried. Topical steroids, creams and anti biotics did nothing for me all those years. For anyone with this uncommon skin condition please try ACV!!! Hi Janelle and thanks so much for sharing how good you’ve found apple cider vinegar for eczema and perioral dermatitis. I’ve heard of ACV being good for eczema before but this is really quick results. I certainly hope it continues to be so effective for you and hopefully your results can help other eczema and dermatitis sufferers out there. I don’t think ACV smells much after you’ve had it on for a while. I’d imagine a face cream would cover the smell or you could rinse it off after a minute rather than leaving it on. Apple cider vinegar is said to improve both your hair and scalp condition. A drop or two of rosemary essential oil mixed into the ACV would take away the smell and is also very good for your hair. I think it’s better to quickly make up a small bowl of diluted apple cider vinegar before using it if you can. If you were using it twice a day you could make extra up in the morning and keep it in the fridge for the evening but I wouldn’t keep it for several days like this. Hi Jim, It was amazing reading all the replies and the positive effects and benefits of ACV. My problem is on the eye area – dark circles, a few wrinkles, eyebags, warts or milias. The eye is a sensitive area having the thinnest skin. Is it advisable to use ACV and apply it on the eye area? If so, will it help remove my problem? What ratio am I gonna use? Any lifting effect? If this will be the case, i guess this is the cheapest skincare program that everyone will love. Thank you and more power! ACV can potentially help with eyebags. I’d try it well diluted, perhaps 1 to 5 ratio, with a cotton wool ball and gentle upwards strokes. If you start to see improvement you could slowly increase the ratio but stop if you feel any strong stinging and reduce back down. It’s also good to take a couple of teaspoons in a glass of water several times a day as it can help to improve internally the type of conditions that promote this. With warts and milias you can apply undiluted ACV to the affected area only many times a day. Some resources suggest every couple of hours during the day if you have the time. More on this in the post itself. I had been suffering of chronic sinusitis which aggravated to asthma for 15 years now. After giving birth to my youngest son at 35, I started to have pimples and acne. After experimenting with all medical and herbal medicines for 6 years, I finally have to accept that I can no longer have my baby skin face. With my chronic sinusitis and ugly acne, I no longer socialize with other people and do not take pictures of myself. Recently, I was surfing the internet for sinus cure when I read that ACV is effective for sinusitis. I bought one and I’m still one week using it but I am already experiencing moderate relief from my sinusitis and asthma. With your article which I just read today, I hope that I will regain the skin I had before using ACV. There are many, many positive reports of using ACV for acne, especially when taken internally as well as applied to the skin. As well as the ACV application advice in this article I’d suggest taking a tablespoon or two before each meal in a glass of water. Any way you can cut down simple sugars in your diet can also assist with reducing skin problems like acne. Would it be too much to use ACV as a toner and to drink it once a day? I don’t think this would be too much at all. I’d suggest drinking ACV before each meal in a big glass of water and you can use it as a toner morning and night if you feel it’s helping your skin. I am using ACV for histamine and pseriosis. Hi Gemme and thanks for your comments. I’m glad apple cider vinegar is working well for you. It really does seem to have a lot of health benefits. is leaving ACV on overnight advisable? I’ve done this without problem though everyone’s skin is different. I tend to use it as a morning cleanser now but you may get quicker results using it in this way. I have been using Bragg ACV for years as a toner. I use in a spray bottle, full strength and let dry, then apply natural projestron cream as a moisturizer. I am 61 and people think my grandson is my son. I do not have any wrinkles on my face and my face is smooth. I am glad I discovered it many years ago. I also put two tablespoons in half glass of water with a tablespoon of psyllium husks for detoxifacation, I beleive in it. I wouldn’t use the Heinz white vinegar on your face. Only the diluted raw and unfiltered apple cider vinegar with the mother I mentioned in the article. Hi! Great article! I really appreciate you sharing this information. Acne sufferers are often so desperate to clear their skin, they’ll spend hundreds or thousands on toxic products (I’ve been there), it’s so great to learn more about natural & inexpensive ways to clear your skin. I have a few questions for you: 1) does this work well for dry skin with acne? I assume it will balance the Ph and make dry skin more moisturized, but should I dilute it more/less for dry skin? 2) I currently use a retinol. Could ACV be used in conjunction with a retinol or should I use ACV in place of a retinol? 3) do you use a cleanser and or moisturizer or just ACV? If so, what do you use and do you have recommendations for a natural moisturizer for dry skin? Sorry to bombard you with questions! Thanks again! You may want to dilute ACV a little more for dry and especially sensitive skin, perhaps starting with 1 to 5 and working up to 1 to 3 if this is well tolerated. I haven’t read of any interactions between ACV and retinol but it would be worth checking with whoever prescribed it and I wouldn’t use them at the same time of the day. Generally ACV is used as a cleanser/toner and then a natural moisturizer is applied soon after. I’ve had good results with a small amount of unfiltered avocado oil as a moisturizer. It’s absorbed quite quickly and seems to have really helped with my combination skin. Naturally derived hyaluronic acid moisturizers can also be good. Hi Jim! Thanks for your advices. I wanted to ask you something. I have a bit sensitive skin. I have used Aknet and it worked ok, but my skin became addicted to it, so I decided to try apple cider, today. Is it ok if I mix it like this – 15ml apple cider, 60ml water and three aspirin tablets and because my skin is getting a bit dry, use Borogal cream after it (apple cider mix in the morning and night, cream in the afternoon). Is it ok? I don’t think there’s any problem with that but you’d have to try it out on your own skin and see how it goes. This is a 1 to 4 ratio for ACV to water which should be fairly gentle, though you can reduce it or try with less aspirin if it dries your skin out too much. Over time ACV should help with sensitive skin by balancing the skin’s pH levels. We love ACV (Braggs is what we use) and I’ve used it as a cleanser at night, with success at keeping acne away. My reason for writing though, is that I wanted to share that I’ve had recent success at keeping fever blisters away with it. I’ve had fever blisters as long as I can remember and just about 3 months ago I thought I’d give the ACV a try at preventing them. So, at the first feeling of getting a fever blister (tingling sensation for me) I apply undiluted ACV straight onto the area (or sometimes all around the edge of my lips if it’s a general area that I feel the tingling) using a cotton swab. I don’t even wash it off. Yes, it burns a tad bit for a second, but doesn’t leave any red marks or is bothersome (for me at least), and, for me, it has definitely worked!!! Normally, I can get 2 to 3 fever blisters a month but in the last 3 months I’ve only had one and that was only because it popped up while I was sleeping so I had no chance to put on the ACV. So glad ACV is getting the attention it deserves! Hi Shelly and thanks for sharing another thing that apple cider vinegar can helps with. It makes sense with ACV’s antiviral properties but I hadn’t read of using it for this before. I doubt pharmaceutical companies will be as happy if the benefits for ACV and other natural treatments for so many different skin conditions become more widely known, but with sites like this and the others in my profile link I’m working on it. ACV may help here. It’s best applied directly with a cotton wool bud at full strength to just the affected areas and can take a while to see improvement. Twice daily application of a good ACV with the mother like the one in the article is recommended. Great idea! I’ll be trying it! 🙂 I love, love, love ACV! Like others here, I use it internally, to wash my hair and it also makes a great deodorant. For anyone who would care to try, it is easy and economical to makenyour own apple cider vinegar! There are a few ways to go about it, so feel free to Google the topic. Pinterest has quite a few pins on this topic as well. My one recommendation would be to use organic peels/apples/juice. Nobody needs concentrated pesticides on their skin or internally! Hi Cindi and thanks for your comments. Yes, if you’ve got the time and the organic apples it would be great to make your own ACV. I heard this can also be used on open wounds on the skin, where it burns like crazy to clean then forms an invisible barrier so no “germage” can get in and heels nicely rather than having a bumpy, ugly scab. Is this true? If not what are your recommendations for an ugly patch of picked acne on the chin area that has scabbed over twice only to keep breaking? ACV does have antibacterial properties, though tea tree oil, lemon juice or raw honey may be even better. I’ve personally used quite an elaborate method of tea tree oil followed by a little raw honey, then covered the wound with a silver treated band aid. Seemed to heal quite quickly with this. This is a great and interesting article. From the time I turned 12 till now, I have had a problem with acne which resulted in acne scars on my face so I am excited to try this regimen. I am a bit confused though. You mention using the vinegar mixture as a facial wash, I wear makeup everyday. Should I mix the ACV with my face soap to remove the makeup and cleanse or do I just scrub off the makeup with a wash cloth wet with the ACV mixture and nothing else? Thanks in advance. I think it would be better to use the ACV on it’s own rather than mixing it. A fresh washcloth would be fine. For acne scarring try it diluted as suggested at first and then work up to a stronger strength if your skin tolerates it, perhaps half and half or even eventually straight as I use it (I suspect my skin is far from sensitive so test this on a small area you can easily wash off first). You’d also want to leave it on if possible in the evening overnight for best results. Hi Maisha and thanks for your recipe. It makes sense that cleansing clay and ACV would be a good mix. I use A VERY for my hair and my face.Its leaves my hair so soft.It also cleared up my Adult acne that the Dermatologist nor Proactive could clear up.I started off using it twice a wee on my face now only once a week.I swear by this stuff. Will it be harmful if i use apple cider vinegar on my skin by itself with no water mixed in? Hi Landon. I use it this way but built up to that strength. I’d recommend starting diluted and working up to it unless you’re sure your skin isn’t sensitive. Thank you for this informative information regarding ACV. I just got a VI Peel this week and would like to know if I could start my daily regimen with the ACV after I completely heal. The VI Peel is a chemical peel. I am Afro American and have hper pigmentation on my face especially my cheeks. I will purchase a bottle a week and start taking it both externally. I’m unsure as to whether there may be a reaction between the chemical peel and the ACV. You might want to check from where you git it whether ACV should be used at the same time. I’d definitely recommend using them at separate time if you do decide to use them together. Perhaps the peel in the morning and ACV in the evening, though if your skin becomes sensitive it might be best to wait to use ACV until after you’ve finished the peel. I want to start using apple cider vinegar on my face to reduce or eliminate completely small brown spots or hyperpigmentation, which I believed has formed due exposed sunlight throughout my years. I am in my late twenties and have always had clean skin. I am beginning to see small brown spots on my face. I want to start the full strength of apple cider vinegar on my face all over the face rather than only on the face spots and leaving it over night. Do you recommend this and is it safe? If I cannot tolerate it can I still apply it full strength and wash it off after a period of time before going to bed? How long should I leave it on the face? Wouldn’t the Use of Apple Cider Vinegar make my skin more sensible to the sun and cause more hyperpigmentation? Should it should it not be rinsed off before going outdoors or under sunlight? I want to use it as a facial wash and toner can you tell me how to use it? What should my face cleaning routine look like and what natural products would you recommend me besides the Apple Cider Vinegar, if anything else is necessary? Do I need to apply some kind of soap or facial foam cleaner before applying directly the Apple Cider Viner or before rising with it as a final step? Feel free to suggest anything, please! It’s best to test ACV at full strength on a small part of you face first to see if you have a reaction, but I use it fine without any problem. If it is tolerated you can use it both as a cleanser and then leave it on overnight. No need for other products. Hey Jim, I couldn’t find the time to go through every comment and response but I did notice you’re very diligent about doing that. Anyhow I came across ACV a few days ago and suffering from acne I really wanted something to work. So I tried applying it as a toner. And I’ve been drinking a tbsp in 8 oz or so three times a day and using the toner twice a day at a 1/1 ratio. It’s been two days since I started and while my face does look brighter and I feel good inside I haven’t noticed much if any improvement in my acne. How long should I wait before I can expect to see effects. I do notice it takes much of the redness away when it dries but I can’t see a result past that and I’m still finding new (relatively small) pimples. Please and thank you If you took the time to read this. It can take a week or so as acne themselves take a while to form and heal. It’s also possible that you may initially get a slightly worse reaction as ACV cleans out your skin. I think your strategy of using it both internally and externally should helps significantly in the long run though. Hi I bought Aspall organic cyder vinegar. But I’m not sure it is the Apple Cider Vinegar with Mother. Does it work ? It should say with the mother on the bottle but organic is likely to have this. I do personally use it straight but it’s best to start diluted and work up to it unless you’re sure your skin isn’t sensitive. Hello I know that you said that ACV with mothers is better , however if i have the ACV without mothers can i finish it off and then buy the one with others or would I just be wasting my time? Does ACV without mothers do anything at all? As long as it is really apple cider vinegar. I wouldn’t use regular vinegar on your skin. With the mother is better though. I have 3 small skin tags on my face. Have been using regular filtered ACV twice a day for 2 weeks, but have no results. After reading your inspiring article, I bought BRAGG, the one you recommended. I plan to use it 1) 1:5 ratio on my face as cleanser / toner; 2) undiluted on the skin tag overnight or round the clock and 3) take internally. My questions are: on face, is it better to use warm distilled water, or warm tap water? And also, I have a few mosquito bite scars on my legs that take forever to fade. How would you recommend treatment by ACV alone without the use of aspirin and castor oil please? Distilled water is likely a little better if you have it but don’t let that stop you using it. I’d treat the mosquito bites with the ACV after your face and apply the others separately at different times as they have different effects that might interfere with each other. I tried this. For the first 5-7 days it was a miracle for me. My skin cleared up and I had no new breakouts. Then after 5 days I started getting pimples again. I was using trader joe’s ACV. With about 1 part ACV and 4 parts water. When I started to break out towards the end of the 7 days I switched to Braggs and am still seeing the breakouts. My skin is sensitive so it might be that amount of ACV is not exact but I happened to get it best the first time. Also, I’m using it in the morning too.. maybe that’s too much? It’s possible the initial treatment improved your skin’s pH and helped but it’s difficult to say whether taking breaks from it and restarting the treatment, or conversely slowly increasing the ratio would help. Great article! Very informative including the comments of your readers. I’m on to my 4th day of drinking ACV and using it as toner at night on 1:3 ratio. Haven’t felt a sting or seen any irritation, can i already increase the ratio to 1:2? Also, approximately how my ml is a big glass of water? I just started with 1 tsp of ACV to 250 ml of water. Thanks in advance. Hi Aileen and thanks for your comments. I think you’d be fine to increase the ratio. 250 ml would be fine for mixing in your ACV but the more water the better. Hi Lina and thanks for your positive comments. I’m particularly interested in ACV being helpful for keratosis pilaris as I have a friend who suffers from this condition on her face. Was there noticeable stinging when you applied the ACV and can I ask what dilution ratio you used and how often you applied it? it is safe to mix ACV with rosewater? I can’t see any problem with that and it would certainly improve the smell. So I have acne prone skin and I was going to try ACV, I’ve never tried it and was wondering how should I dilute it? ACV has been my miracle go-to since I was a girl and my mother used it for everything. I don’t need scientific evidence to know it works, but here’s some for those who would like to have it. The key to using ACV is to know your own body. Everyone is different in their needs so be patient when trying different amounts or dilutions until you find what works. It’s worth it! my son got acne . in the beginning they were very small but now we noticed that they are increasing in size . can i apply diluted acv over the face. even using the medicines given by dermatologist are of no use. I too suffer from acne and this treatment has definitely helped in that area. I have tried nearly everything under the sun for acne, including internal and topical medicines from dermatologists, with no avail but the ACV toner very much helped. A lot of people that suffer from acne do well with the diluted ACV toner after cleansing, although I can’t guarantee it will work for everyone. Since it’s been a few months since you posted this, I’m curious if your son has tried this and if so, did it work well for him? hi, i wanna try ACV, HAD THIS PROBLEM ON MY FACE, there was some kinda dark patches on my face, its like black or something.. i just wanna know, how many times do i have to do it in a day? and how long will it take effect?.. thanks! I tried this for the first time. I didn’t had idea the stuff should be diluted. I read about using this somewhere else where it was written like apply it before sleeping and I did the same. On the very next day, I felt very comfortable with my eyes. I felt too tired with my eyes and it was hard to tolerate any brightness. I will try with diluting the mixture next time and when to apply this ? Before sleep for the whole night or for just 2, 3 minutes ? I haven’t heard of external ACV having any effect on the eyes (though it’s best to avoid the delicate eye area). I personally apply it before bed and don’t usually remove it but if you like you can leave it on for a couple of minutes then wash off. Thanks for the article ! I have pimples sinc my teen age, I am 25 now, mother of one n often v stressed out. I have two queries.. I ll b really thankful if you ll reply..
1- I also read about benefits of baking soda with water and honey+lemon+turmeric paste on face for acne. Is it fine if I apply on face – day 1- ACV, day 2- baking soda, day3 – honey+lemon+turmeric paste??? 2- I am taking green tea too everyday for the same reason (acne). Is it fine if I take ACV with water in morni n green tea in evening?? Alternating the treatments like this is fine and should be beneficial. It’s also fine to have green tea soon after ACV in the morning if you like. There are no negative interactions that I’m aware of with these and the various nutrients often compliment each other, such as vitamin C containing foods and green tea catechins which are known to enhance each other’s beneficial effects. That’s great news and thanks for sharing your results. Can I ask whether there was any stinging with the ACV and whether it got any worse before getting better? Also, did you use the ACV just in the morning or twice a day? Real raw honey can be beneficial for the skin, both as a facial mask and small amounts taken. Supermarket honey unfortunately isn’t far off sugar and not so good for your skin. I’d lessen sugars in your diet for better skin wherever possible. I’m 30 and a pimple or 2 usually breakouts every month before my period. Been thinking of trying this ACV treatment for my skin but I was unable to find the organic one (I have the Heinz ACV). On the other hand, every morning, my usual allergic rhinitis attacks. This time, I drank a glass of water with 2tsps of ACV, and walla! after a few minutes, I felt better! Not even needing to take my OTC antihistamine tablet! I was keen to try ACV to get rid of face warts.. I just wanted to know if there is any specific brand that you recommend or any brand should do good? Also, is it necessary to treat warts with organic ACV? Do we need to dilute and then use on warts? If so, in what proportion… I look forward to hearing from you at the earliest..
– BRAGG organic apple cider vinegar is the best I tried by far, just get this one. It’s cheap and it works. – You don’t need organic but honestly I just prefer it and I think you should too. Less chemicals etc :). – Yes you need to dilute it. If you apply ACV on your face as is, it’s going to turn red. It’s a pretty strong agent. Just go with 1/5 ACV, 4/5 water and you should be fine. I shall keep you posted with the progress as soon as we see any results..
Yep, the method is correct. As for the sensations it shouldn’t properly burn but he will feel his skin heat up a bit. If the sensation is too annoying, just dilute the vinegar some more. As for protecting around I doubt this is necessary, just put a little dot of vinegar and make sure it’s aligned with the wart and it should do the trick. Thanks Gael.. Truly appreciate your prompt response..
Hey Anindita, I’m not sure to be honest we haven’t had these issues using acv. I suggest seeking the help of a medical professional. That’s probably the best idea. My husband is suffering from warts on his face (beard area) and I came across this site talking of the benefits of Apple Cider Vinegar..
You could try the homeopathic remedy Thuja (internally) or the Thuja tincture (externally). Thuja is very good at drawing the wart virus out rather than the conventional treatments that push the virus inwards. Maybe talk to a homeopath if the ACV doesn’t work out. i had a wart on the bottom of my foot for over 3 years that wouldn’t go away with any otc treatment. i found the ACV method and soaked the cotton ball in it at night and covered it with a piece of duct tape. it stung a little in the beginning and about a week in it got white around the wart and the wart itself was black. before i knew it it was gone! It took about 2.5 weeks and its been over a year! Hi can i put the ACV morning and evening. and can i put it in the morning after taking a bath and then put some face powder in my face and go to work??? is it ok if i do it that way. i just bought ACV today.. i know i can put it overnight but i dont know if i can put it in the morning and leave it the whole day with the face powder please i need help. im staying here in philippines right now. i dont have acne breakout but i have small pimples and white heads and pimple marks is ACV help me to fade all of this one thanks. your reply is highly appreciated. You’re a true DIY healthy living person ! Congratulations ! Hum no, it wasn’t sarcastic, sorry if it sounded that way. On my cheeks and such I cleared up soon, I think maybe a week or two, I’m also found that when I don’t drink enough water I break out(currently happening ㅠ.ㅠ) so make sure you’re drinking enough water and also moisturizing. I use the tiniest amount of coconut oil, like itty bitty, think infant finger nails size, and rub it in my (washed) hands before putting it on my face. I would. Like to know if Is Apple cider vinegar safe to use while pregnant? I meant applying it on skin for acne? I have very dry skin, and I read all the comments here, but does not mention as to how to use this ACV on the skin all over the body. Please help with how to use it on the entire body, for very dry skin. I started using acv toner a bit over a week ago. I feel there s been some improvement in my cheeks area but my forehead is breaking up bad. Not sure if its actually getting rid of the toxins or its jusy a bad reaction. Ive never had so many small red bumps on my forehead. Usually its one or 2 bumps at a time. Should i continue? For how long? Any effective way to diminish the break out period? I used to have moderate acne – I stopped letting my hair touch my face!! I followed this regimen: for the most part) I wash gently now with the Citrus Clear Face Wash and then use a Benzoyl Peroxide spot treatment. I do also use the Citrus Clear moisturizer, but it does not have SPF protection – which is OK, because my skin is too sensitive for SPF. Hello , I hope you answer me . My skin has always been great but during the summer I started breaking out on my cheeks and it left horrible spots. I used this peelin cream , but it burned my face literally , suddenly , there were red patches on my skin and it felt very tight and it burned. These red patches turned to black and they fell of , however , it left a dark mark on my face and the spots are not gone , please help , will apple cider vinegar will help fading it ? I have only been using the Citrus Clear Face Wash product for 10 days, but have had remarkable results. I actually noticed a difference after the first 3 days. My skin is smoother and clearer. I am so happy. Something that works and doesn’t cost a fortune. Has anyone ever had the ACV stain their skin? No it’s not an irritation or a burn, I have put ACV on my skin before and this hasn’t happened. But last night I cleansed my face and woke up looking like a was wearing a subtle self tanner. Thank god I put it on evenly as it’s not washing off! 🙂 I looked at my fingers and they were stained brown from holding the cotton ball. Weirdest thing ever!! There are holes in my face that acne has left behind. Will the ” mother” take them away? If not what will. This is just awful. My grand kids always ask me….Grama whats those hole in your face? Why do you have holes in your face? How did you get those holes in your face grama? How should I use it to get rid of dark spots / scars that acne left behind?? Apple Cider Vinegar is extensively used as a remedy for digestive trouble, which also aids in detoxification. Mix one tablespoon of organic Apple Cider Vinegar (ACV) with 12 ounces of warm water and drink it in the morning on an empty stomach. The acidic acid promotes gastrointestinal health by balancing your PH and fosters friendly bacterial growth.